After leading countless field trips, School of Environmental and Forest Sciences Professor Emeritus Tom Hinckley still learns something new every time he enters the forest. “When you learn to see all the parts of an ecosystem, you become more comfortable walking into a forest. You know the context, the history, the stories. A new experiment will test whether microbes can help broccoli grow better in challenging conditions in space. Astronauts at the International Space Station are spending more time away from Earth, but they still need their daily serving of vegetables. 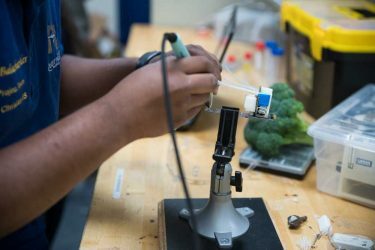 In the quest to find a viable way for crew to grow their own veggies while orbiting, student researchers are sending broccoli seeds coated with a healthy dose of probiotics to space. Six broccoli seeds are aboard the Orbital ATK Cygnus spacecraft that launched last week from Wallops Island, Virginia, as part of a space station cargo resupply mission. Three of the seeds are traveling to space as is, while the other three are coated with two different species of bacteria, developed at the UW, that can live inside crop plants and improve their growth. These “beneficial” microbes, also called endophytes, may help plants grow better in extreme low-gravity environments, and in places where nutrients or water could be lacking. The goal is to learn how to grow vegetables in the challenging, microgravity conditions of the space station — and eventually on the moon and Mars — as human space exploration expands. 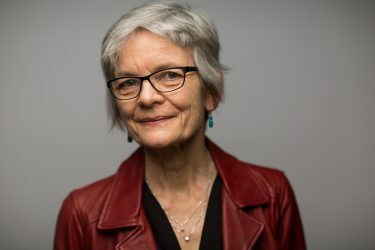 “It would be ideal if we could grow crops for astronauts at the space station or who are lunar- or Mars-based without needing to ship potting mix or fertilizer,” said Sharon Doty, a plant microbiologist and professor in the School of Environmental and Forest Sciences who isolated and characterized the microbes used in this experiment. The University of Washington’s College of the Environment and its faculty members are no strangers to ground-breaking and important research on volcanoes and magma—from a land-sea experiment tracking earthquakes and volcanoes along the Alaska Peninsula to publishing an atlas of seafloor volcanoes and deep-ocean life. 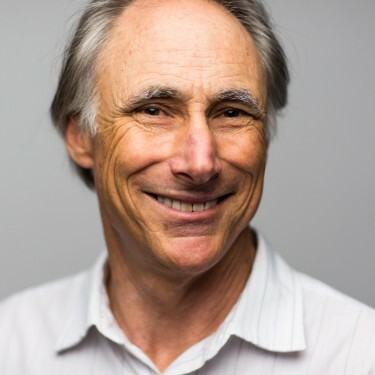 George Bergantz, a professor in the College’s Department of Earth and Space Sciences, is a geologist who studies the physics of magma. As part of the physical petrology group at UW, he uses a diverse set of tools—numerical modeling, lab experiments and fieldwork—to study volcanoes. 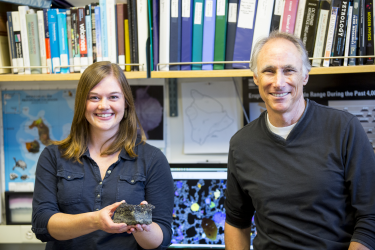 In recent years, he and his team were the first to simulate the individual crystals’ movement in magma chambers to better understand the motion of the magma and buildup of pressure. Coinciding with the anniversary of the devastating 1980 Mount St. Helens eruption that killed 57 people and as Kilauea ash clouds threaten Hawaii’s Big Island, we caught up with George to see how both events have informed and will continue to inform the study of volcanoes and how we prepare and respond to them. Where were you when Mount St. Helens erupted? What did you and other volcanologists learn from the event itself? What scientific insight have you gained from studying the volcano in the years since its eruption? 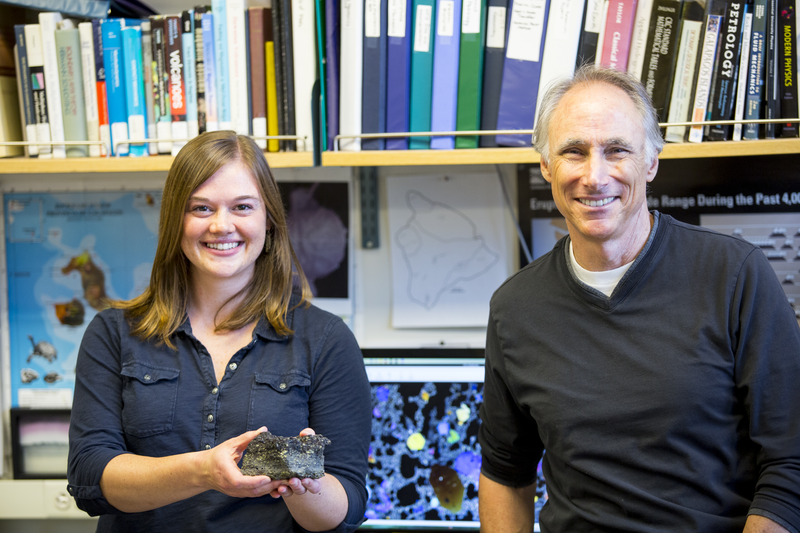 Jillian Schleicher, former UW doctoral student and post-doctoral scholar, and UW professor of Earth and space sciences George Bergantz with a Mauna Loa basalt samples they will compare with the simulation results. With volcanos in the news here and in Hawaii, are there key lessons from science for policymakers and communities who want to be prepared for future volcanic events? This August 2016 aerial photo of the Sierra Nevada Mountains in central California shows widespread tree loss. The new study shows changes here can affect plant growth across the country. 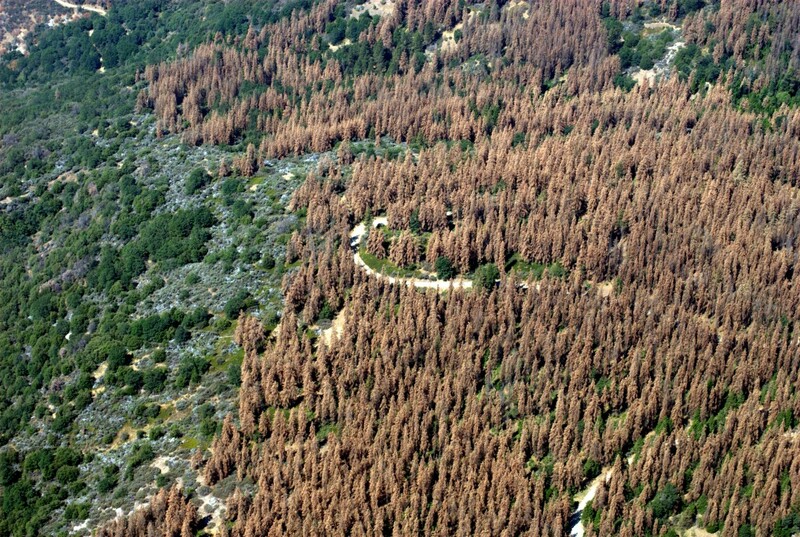 Large swaths of U.S. forests are vulnerable to drought, forest fires and disease. 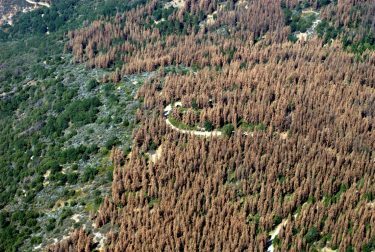 Many local impacts of forest loss are well known: drier soils, stronger winds, increased erosion, and loss of shade and habitat. But if a whole forest disappears, new research shows, this has ricocheting effects in the atmosphere that can affect vegetation on the other side of the country. 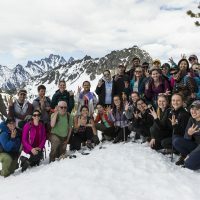 “These smaller areas of forest can have continental-scale impacts, and we really need to be considering this when we’re thinking about ecological changes,” said first author Abigail Swann, a UW assistant professor of atmospheric sciences and biology. The RV Rachel Carson is a 72-foot vessel built for fisheries research in Scotland. It will carry UW students and researchers on regional trips out to sea. 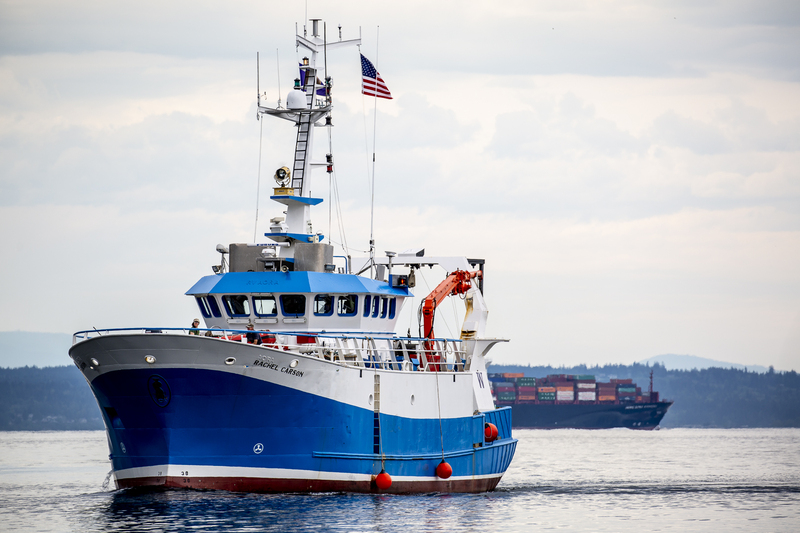 The RV Rachel Carson was built as a fisheries research vessel in Scotland in 2003, and the UW acquired it in 2017 and had it shipped to Seattle last winter. It completed its first science voyage in early April, and is expected to officially join the University National Oceanographic Laboratory System fleet this summer. “With its significantly greater capabilities, the Rachel Carson really expands our ability to take more scientists and students to sea, to provide better hands-on instruction, and to conduct a much wider portfolio of oceanographic science,” said Douglas Russell, the UW’s manager of marine operations. 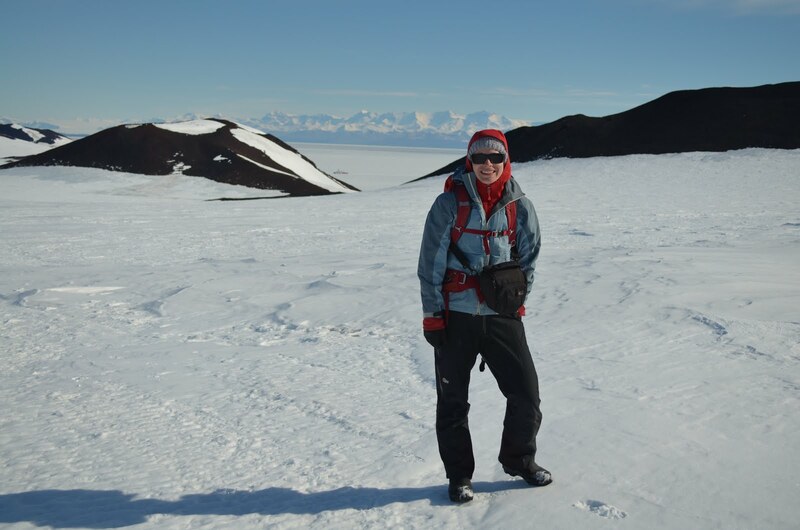 Laura Kehrl on a hike near McMurdo Station while waiting for a flight to the Allan Hills area. Ice cores offer a window into the history of Earth’s climate. Layers of ice reveal past temperatures, and gases trapped in bubbles reveal past atmospheric composition. The oldest continuous ice core so far comes from Dome C in East Antarctica and extends back 800,000 years. But a tantalizing clue recently offered the possibility to go back even further. A collaborative study between the University of Washington and the University of Maine now pinpoints a location where an entire million years of undisturbed ice might be preserved intact.